Review monitors for clinical environments. 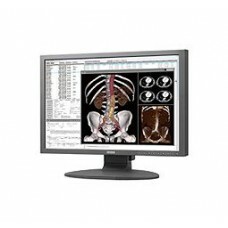 Review monitors with DICOM for clinical environments. 21" clinical display for clinical image reviewBarco's Eonis 21" offers a 40% higher calibrated lumin..
22" clinical display for hospital-wide viewing of clinical data and images22" display for reviewing ..
22" clinical display designed for infection control22" display for reviewing clinical imagesWith fro..
24" clinical display for hospital-wide viewing of clinical data and images24" display for reviewing ..
24" clinical display designed for infection control24" display for reviewing clinical imagesWith fro..
19-inch clinical review displayThe MDRC-1119 is a 1 MegaPixel clinical review display for hospital-w..
2.3 megapixel 24.1" color displayCCL24024.1" wide-screen color LCD with DICOM calibration functionHi..